Ok so Lasagna time. 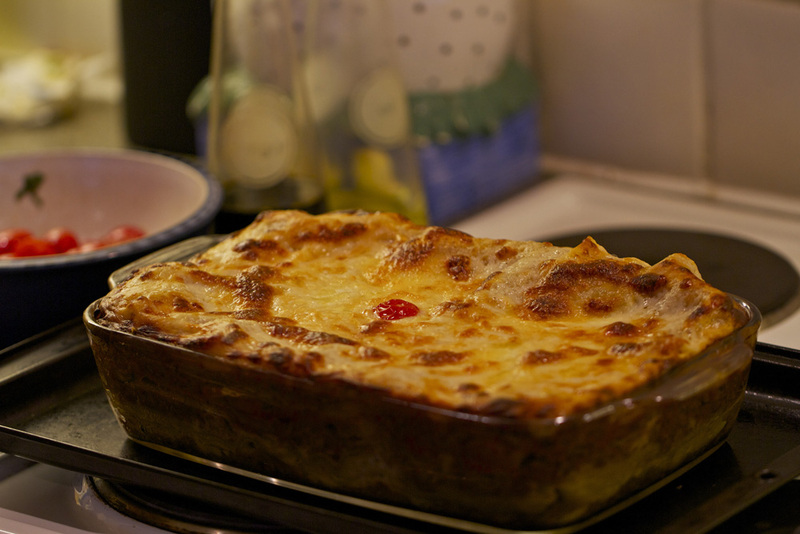 I’m sitting here on a very cold and rainy day in the country side and I thought I’d write out my lasagne recipe before I cook it this evening. I’m bored so it might be a bit of a long one! Now my lasagna’s do vary a bit. I like to put a secret layer in there and try to change it up each time. Obviously there are a few things you don’t want to do. A big bit of steak might not work. Although some finely sliced fillet steak might be nice…hmmm just thinking out loud here but that could be nice. Maybe season the fillet with lots of salt and pepper sear it in a pan for a few mins then slice it really finely and have it on that layer with maybe some basil and Parmesan. Could be nice. Anyway I’m rambling…. If I’m feeling a bit fancy I’ll make meatballs for my secret layer. I’d slice the meatballs and have them with some cherry tomatoes, mozzarella, basil and Parmesan. 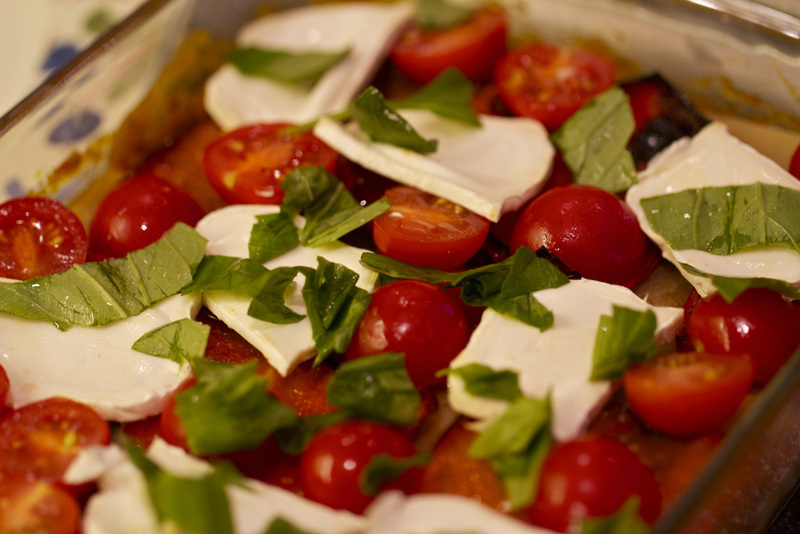 If you don’t have the meatballs then fresh tomato, mozzarella and basil is a great little layer. You could also do a spinach and ricotta layer or some sort of pesto with roasted red pepper and goats cheese or something. Anyway I’ll leave that up to you. 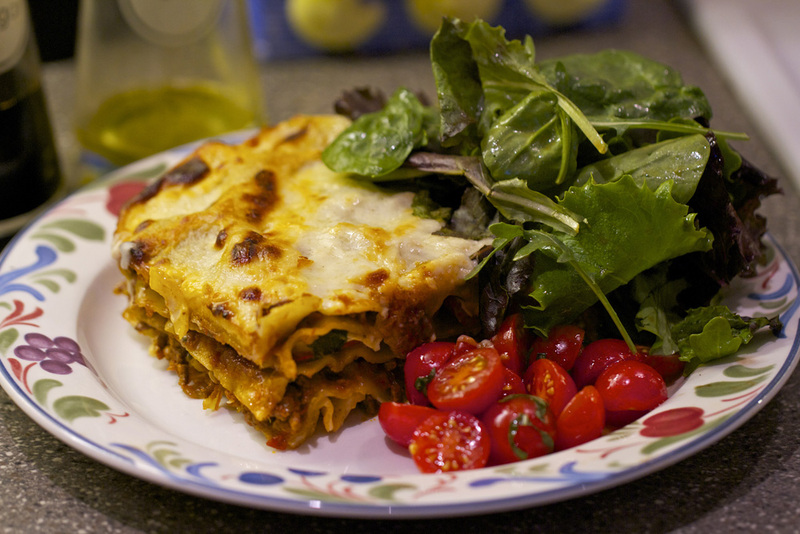 Now when I do a lasagna I generally make it far too big and end up eating it for about 5 days or trying to make weird and wonderful lasagna left overs. Lasagna toasties with lots of extra cheese is something you must try. Bit carb heavy and you need one of those toastie makers that seal the toastie but it is well good. WARNING the filling will be hotter than the sun so watch out. Sorry, rambling again…. For this lasagna I’ll try to make the recipe for about 6 people. 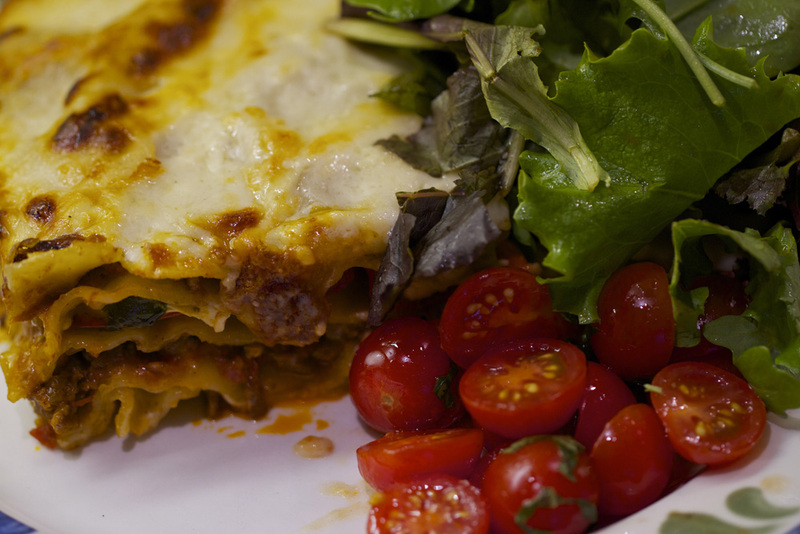 It can be hard to guess quantities as it depends on the size of the dish you’re going to put the lasagna in. For this quantity id say about 10×6 inches and about 3 inches deep. Better to make too much than too little, you make too much of the bolognese sauce or the béchamel sauce then there are lots of things you can do with spare sauce. I’ll get onto that, probably tomorrow because it turns out I’ve written almost 2000 words and I’ve run out of wine. This is a great dish to do for a dinner party as you can make it the day before and chuck it in the oven 1 hour before you want to eat. All you have to do then is prepare a nice salad and those tasty garlic bread things I did the other day. Check the meatballs recipe for how to do this. 750g Good Beef mince I don’t really like the idea of buying mince from the supermarkets pre-ground. How do you know what they’ve put in it? I mean you could be eating minced badger or something. If you do get it from the supermarket then try to get the steak mince. Otherwise go to your butcher and get them to freshly grind some beef for you. They do it in front of you and you know what you’re eating then. If you’re not sure what sort of beef to use ask your butcher. That’s what they’re there for. You want something with a bit of fat in it as it helps with the flavour. Good quality tinned tomatoes whole or chopped is fine. I like the whole ones. I’ll be using some of the sauce from the meatballs I made the other day as I have a bowlful left over. Otherwise use some good quality tomato passata. Nutmeg get the whole nutmeg please. The ground stuff is frankly shite and I don’t think it’s cost much different. Lots of cheese So now we get on the subject of cheese….My friend’s rule on cheese is add what you think you need, then double it and add a bit more….pretty good rule. Some people might say that it could get too rich or it’s unhealthy, I suggest that they are secret cheese haters and should be told to jog on. Anyway I think a Lasagna should be rich. 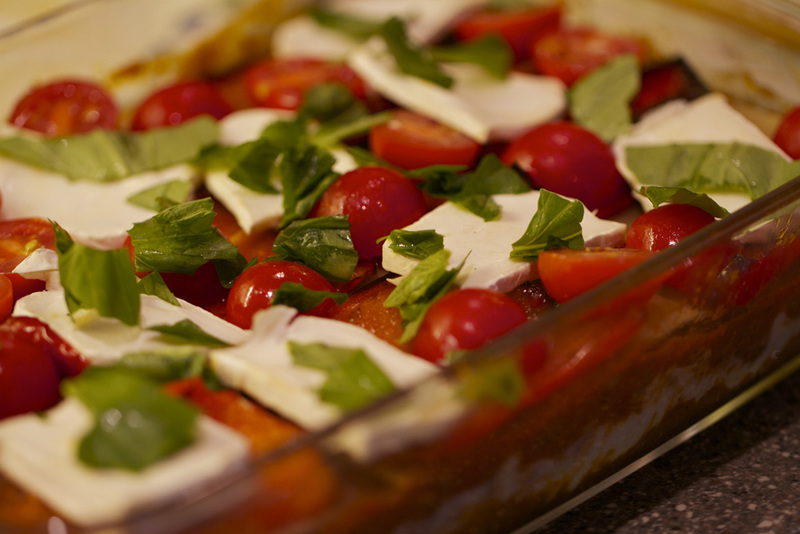 I serve my Lasagna with a really nice tomato salad thing which cuts through the richness perfectly. 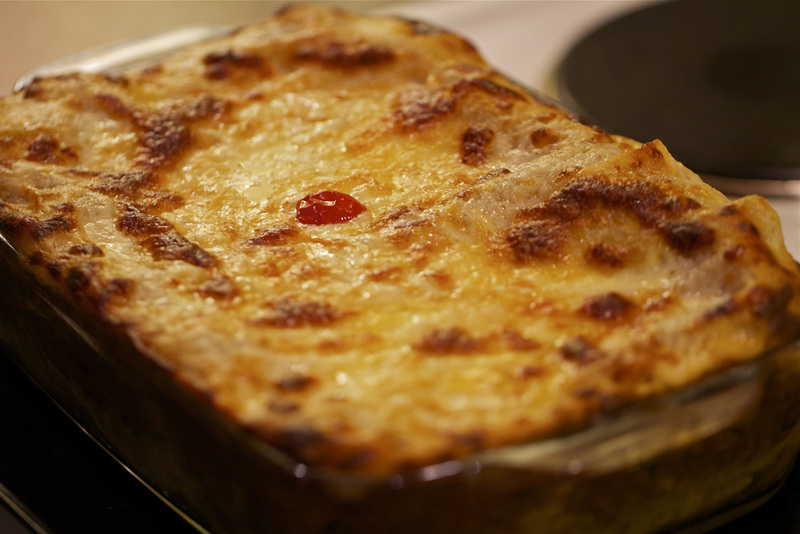 I use Good quality Mature Cheddar and Parmesan for the sauce and Mozzarella and Parmesan for the top. Ok so first we’ll get the bolognese sauce on. 2. 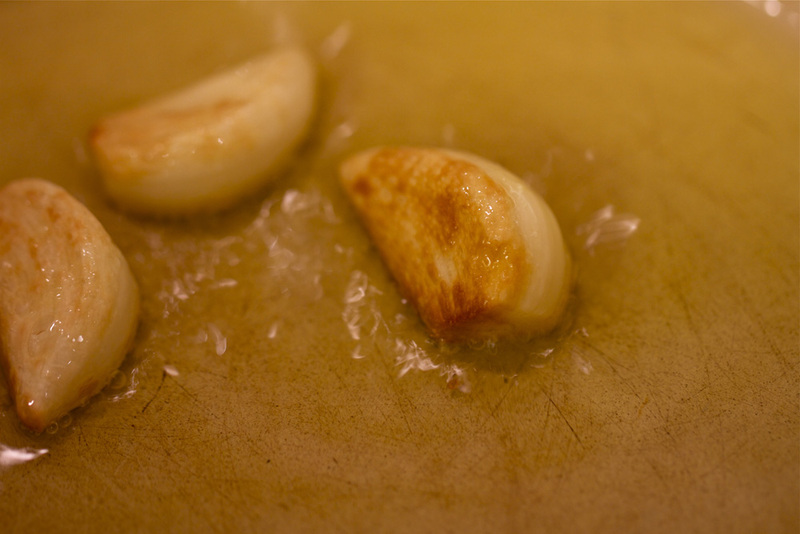 Now while the onions are doing this grab a frying pan fry off your mince in batches. Get the pan nice and hot add a dash of olive oil, put a handful of mince in and season with salt and pepper and fry off until the mince is browned slightly. After each batch just put on a plate or in a bowl. Repeat this process until all the mince is done. Remembering to season each time. 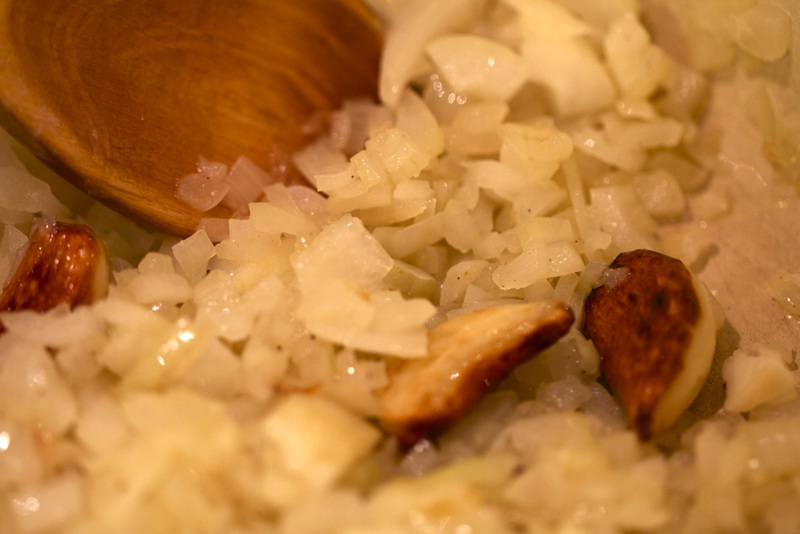 The onions should have cooked down enough now so add the mince to the onions. 3. Ok so stir everything well and turn up the heat slightly. After 2 mins of stirring add about half a bottle of wine. Give a good stir and let it bubble away for about 6-7 mins. We want to let the wine reduce down to almost nothing. Once you get to this stage add the tins of tomato and about half a jar of passata. Season with a bit of salt and pepper. Instead of using the passata I’ve used my left over pepper and tomato sauce from the meatballs I made the other day. 4. Let this come to a gentle bubble and turn down so it’s simmering gently and chuck in a big handful of cherry tomatoes, leave them whole, they just split and melt into the sauce after a while. 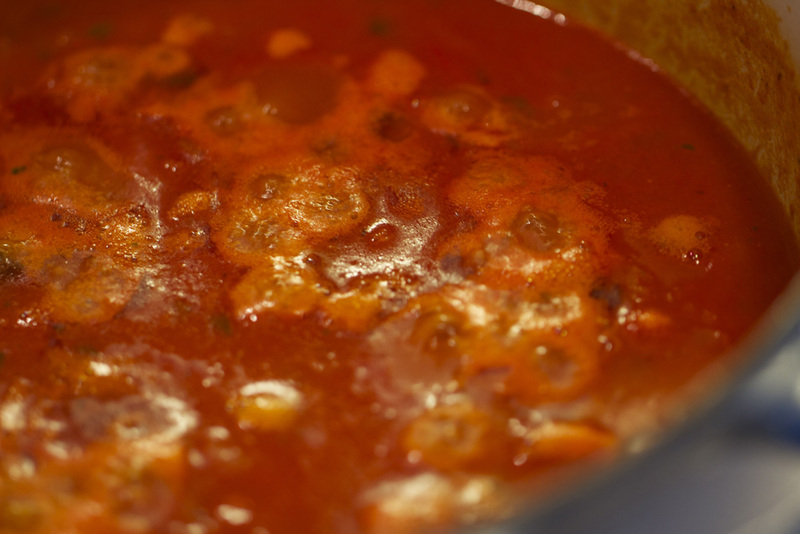 Now, the biggest mistake people make is to not cook this sauce for long enough. 2 hours would be ok. Longer would be better. With you just simmering it you only really need to stir it every 20 mins or so. It shouldn’t stick. You can go off and chuck a movie on or chat with your mates or something, maybe even a cheeky glass of wine (especially as you have half a bottle of red knocking about). Try to give it at least two hours. Now taste and season with salt and pepper if needed. If it tastes a bit sharp then add a spoon of sugar, stir and taste. 5. ok so now for the béchamel / white sauce. Get about 2 pints of milk in a pan on the heat and warm up. You don’t want it boiling just so it’s steaming a bit. Now put about 50 grams of butter in a deep solid thick based sauce pan on a medium heat. Let it melt then add 2 heaped tablespoons of flour and mix well. You want it to go into a thick paste. Give it about a min of constant stirring to cook of the flour a bit. This is called a roux. You didn’t know I could speak french did you! I was going to take pictures of this stage but I forgot and was pretty busy stirring anyway. I need an assistant…any takers? You get food and hugs as payment. 6. Now add a ladle or two of milk. Do not stir just let it sit there. Once the milk is bubbling then mix well into the roux. It will never go lumpy if you do it this way. It will go into a smooth thick paste again. Now add another ladle or two of milk, let it bubble before you mix each time. Keep repeating this until you have a nice smooth thick white sauce. You want the consistency to coat the back of the spoon easily. Now season with lots of pepper and a good pinch or two of salt. Add two handfuls of freshly grated cheddar and a handful of freshly grated parmesan. Stir well and taste again. Now add a few grates (using the finest part of the grater) of nutmeg and a bit more pepper if you like. Give it a stir then there we go! Just leave it on the heat for a few mins. You don’t really want it to be boiling, just so it’s heated through nicely. 7. Ok. So now building the lasagna. I never really know the best way to order the bolognese, the béchamel and the pasta so I generally just wing it. I normally start with bolognese sauce. 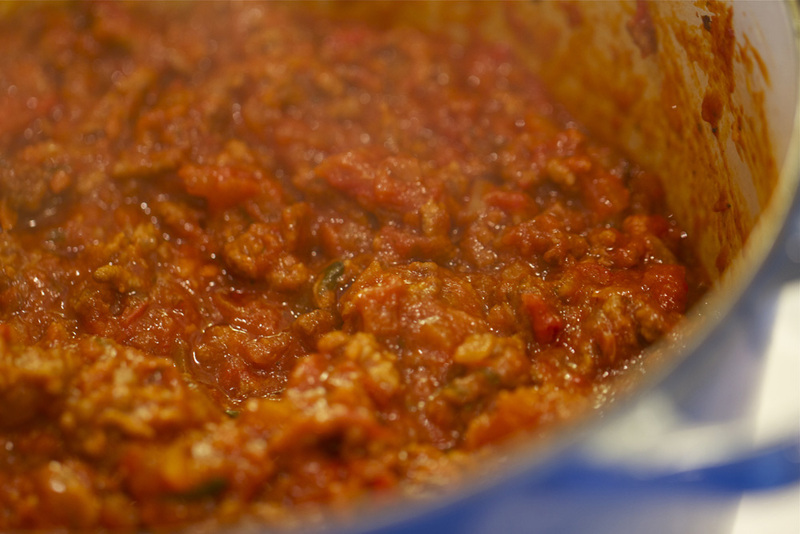 (ok so I’m bored having to write bolognese a million times so I’m going to say red sauce from now on. Oh and white sauce for the béchamel) Ok so red sauce first then pasta sheets, then white sauce, then red sauce, then pasta then secret layer time. 8. I’m going to do the roasted pepper, basil and goats cheese layer. Might even chuck a in few sliced cherry tomatoes. So I’ll just simply roast the red peppers in the oven on 220°C with a bit of salt, pepper and a drizzle of olive oil. This will take 10 mins. Ok so add the peppers then spread around the cut tomatoes, the goats cheese and basil. Quick season with pepper. 9. Add the pasta on top of the secret layer. Now do one last red sauce layer, then pasta, then white sauce. Now sprinkle with some freshly grated parmesan all over and add some torn up mozzarella and season with a bit of pepper. 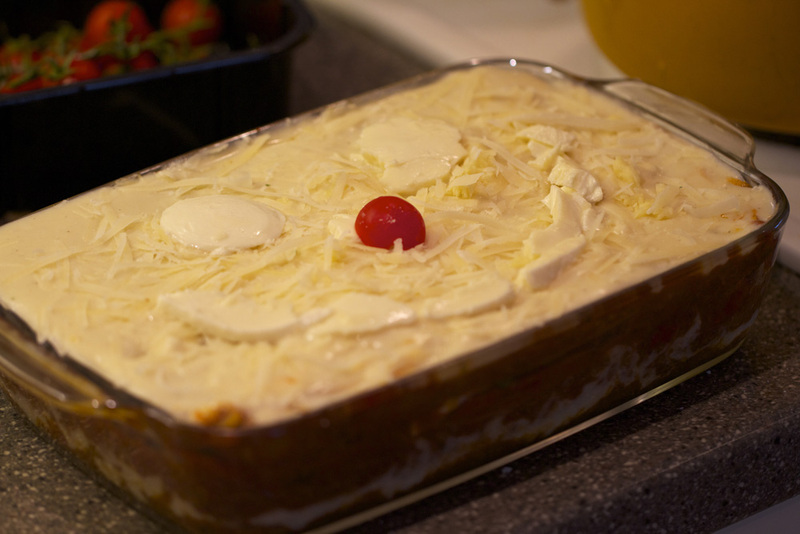 If you have some cheddar left over then add this on top too….remember the cheese rule….and don’t forget the smiley face! 10. You can leave it like this until you are ready to put it in the oven. If you’re doing this for the next day then let it cool down a bit then put it in the fridge. When you want to cook it get it out the fridge about an hour before you put it in the oven. 11. Whack it in the oven on about 170-180°C for about 50 mins – 1 hour. You don’t want to cook it too quickly or the pasta might under cook. Serve with a nice mixed leaf salad and maybe some funky garlic bread and a nice tomato salad. 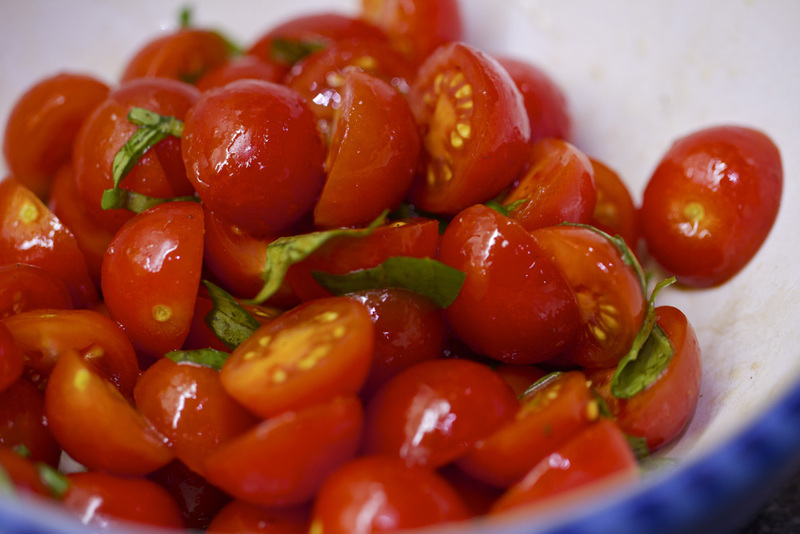 For the tomato salad grab a bowl, use cherry tomatoes, halve season with a good pinch of salt and pepper and a splash of balsamic vinegar and extra virgin olive oil. Leave this for 10 mins then use the liquid you get at the bottom of the bowl to dress the mixed leaf salad. Thats a pretty cool tip for a really nice dressing by the way.